On the sidelines of yesterday’s agenda of the World Economic Forum (WEF), a memorandum of understanding was signed between Electronic Health Solutions International (EHSI) and Hewlett Packard (HP). Mr. Al-Lahham highlighted the importance of this agreement; as HP’s equipment and technical solutions hold strong reputation which will positively affect maintaining the quality of "Hakeem" program’s operation and facilitate its application, which will in turn enhance marketing the program as one of the best solutions to automate health sectors in the region. EHSI has used HP products in Farouk Medical Center; a hospital that EHSI is working on automating its processes in Kurdistan - Iraq. For his part, Mr. Isawi said that the agreement will endorse HP’s products’ excellence in the health sector automation field, especially as EHSI leverages a good reputation in this field within the region, built through experience in the development and application of "Hakeem" program in Jordan, which is now being replicated within region. He said that HP is pleased and proud to be EHSI’s partner in this important development, which will contribute to the development and improvement of health care services in the region through the use of HP products. 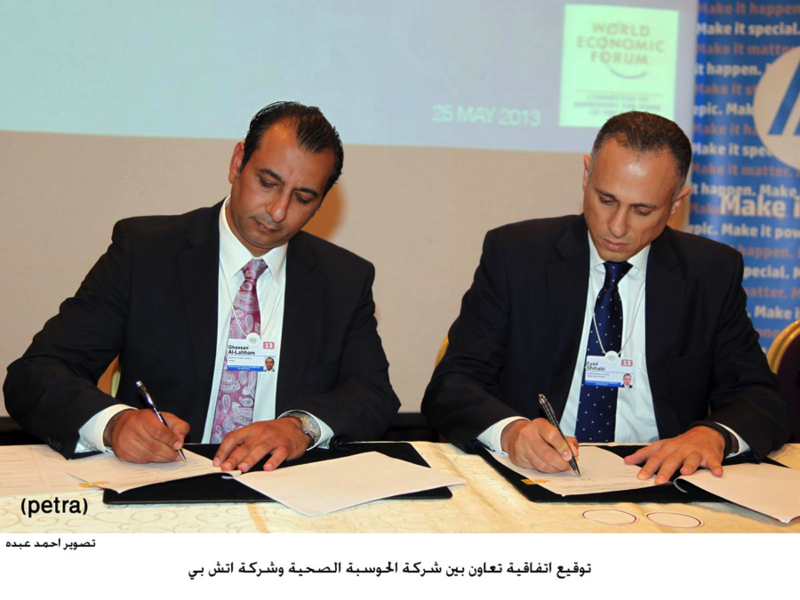 The agreement signing was attended by EHSI’s Chairman, Dr. Rami Farraj, as well as a number of people interested in the health and information technology sectors, and a number of members attending the WEF.